If you’re from my gen, then you’re probably thinking THOSE ARE TOFFIFAY, DAMN YOU! But they’re not. These are much, much more sinister. In a nutshell (I’ll be here all week, thanks) these are simply a peanut butter filling ensconced in milk chocolate. And to say they’re rich & creamy is like saying that BladeRunner 2049 was a good movie. Because it wasn’t good, it was GREAT. That’s what I meant by my metaphor. Allegory? Do ya like peanut butter? Chocolate? Ok, that’s 98% of you, at least those of you than can eat it dietarily. The peanut butter filling isn’t a crumbly, chunky experience: it’s not like eating real peanut butter, it’s definitely more of a peanut butter cream. And while the chocolate coating is somewhat thick, it thankfully doesn’t over power the peanut butter silkiness. These are an easy win for most people. 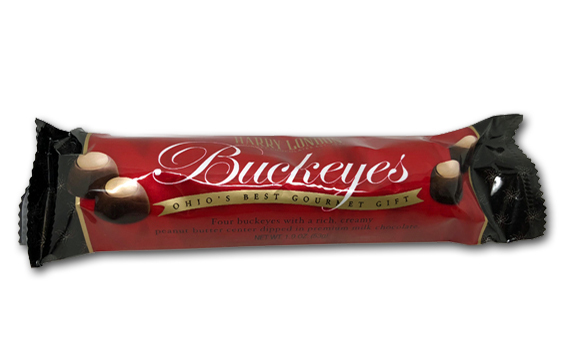 Sort of like an elevated Reese’s, but to be fair it’s a different experience. 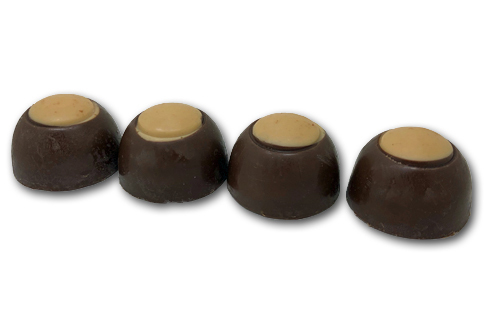 Fans of fancy chocolates, and especially truffles will LOVE these. 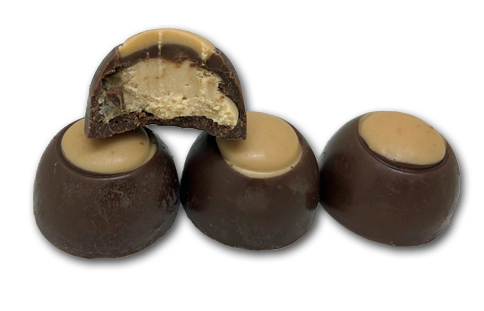 Those that are looking for a more “simple” peanut butter filling, with texture and perhaps more salt, should favor the Reeses, or Reeses alternatives. Click the link below to pick some up, and let us know what you think! Interesting. It reads like these are a 4, at least, but you gave them a 3. I love america. The reason is because ultimately, I’d never choose this over a Reeses, and definitely not over some of the more fancy Reeses clones we’ve seen in recent years. are you shizzling me? they are called toffifee over here… Toffifay just sounds plain weird, and WRONG.